7th Rangers: Hugh Fitzgerald: Muslim Travel Ban? Really? 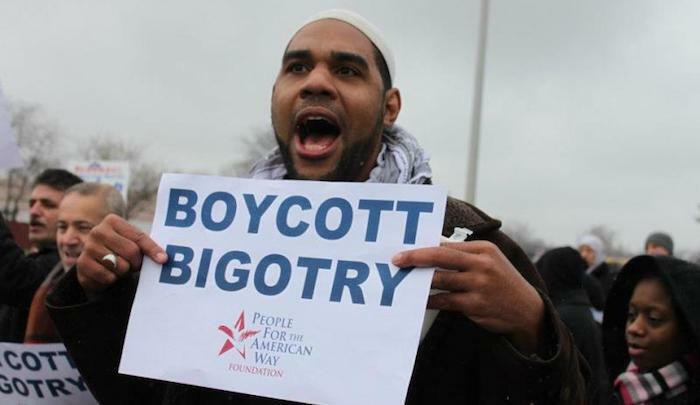 Jihad Watch : Muslim Travel Ban? There Has Never Been an America Without Islam or Muslims. That’s the headline for an article by Dawud Walid, Executive Director of CAIR in Michigan, here. I am an American Muslim, and like thousands of American-Muslim families, my family has been in America for over 10 generations[!]. I am also one of tens of thousands of American-Muslim military veterans. I served honorably in the U.S. Navy, earning two Navy and Marine Corps Achievement medals while deployed abroad. Like other service members, I swore to uphold our Constitution. A handful of Muslims, not even a half-dozen, are known to have served in the Revolutionary War; 292 Muslims apparently served in the Civil War; perhaps as many as 15,000 Muslims, it is estimated (there is no way of knowing, since “Muslim” was not a category on dog tags), served in World War II, and in recent years, 0.45% (5,500) of soldiers in the American military have been Muslims.